SaraNAgathi gadhyam – 7th chUrNai – http://divyaprabandham.koyil.org/index.php/2015/12/saranagathi-gadhyam-7/ – English translation by T N krishNan swamy. Full series at http://divyaprabandham.koyil.org/index.php/2015/11/saranagathi-gadhyam/ . upadhESa raththina mAlai – pAsuram 28 – http://divyaprabandham.koyil.org/index.php/2015/12/upadhesa-raththina-malai-28/ – English translation by raghurAm swamy. Full series at http://divyaprabandham.koyil.org/index.php/2015/11/upadhesa-raththina-malai/ . SrIvaishNava granthams – Simple guide to SrIvaishNavam – artha panchakam – the five essential concepts – http://ponnadi.blogspot.com/2015/12/artha-panchakam.html . Full series at http://ponnadi.blogspot.in/p/simple-guide-to-srivaishnavam.html . 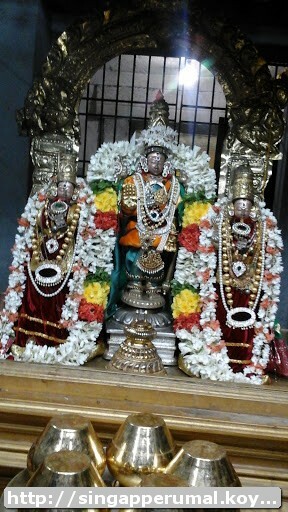 guru paramaparai – periya thirumalai nambi (SrISaila pUrNa) – life and glories in thamizh – https://guruparamparaitamil.wordpress.com/2015/12/29/periya-thirumalai-nambi/ – new article by renga rAmAnujam swamy based on https://guruparamparai.wordpress.com/2013/03/01/periya-thirumalai-nambi/ . Please visit https://guruparamparaitamil.wordpress.com/2015/03/14/introduction-2/ to see the full list. dhivya prabandham – upadhESa raththina mAlai – pAsuram 27 – http://divyaprabandham.koyil.org/index.php/2015/12/upadhesa-raththina-malai-27/ – English translation by raghurAm swamy. Full series at http://divyaprabandham.koyil.org/index.php/2015/11/upadhesa-raththina-malai/ . SrIvaishNava granthams – Simple guide to SrIvaishNavam – thathva thrayam – the three entities – http://ponnadi.blogspot.in/2015/12/thathva-thrayam-in-short.html . Full series at http://ponnadi.blogspot.in/p/simple-guide-to-srivaishnavam.html . upadhESa raththina mAlai – pAsuram 26 – http://divyaprabandham.koyil.org/index.php/2015/12/upadhesa-raththina-malai-26/ – English translation by raghurAm swamy. Full series at http://divyaprabandham.koyil.org/index.php/2015/11/upadhesa-raththina-malai/ . SrIvaishNava granthams – Simple guide to SrIvaishNavam – rahasya thrayam – the three secrets – http://ponnadi.blogspot.in/2015/12/rahasya-thrayam.html . Full series at http://ponnadi.blogspot.in/p/simple-guide-to-srivaishnavam.html . SaraNAgathi gadhyam – 6th chUrNai – http://divyaprabandham.koyil.org/index.php/2015/12/saranagathi-gadhyam-6/ – English translation by T N krishNan swamy. Full series at http://divyaprabandham.koyil.org/index.php/2015/11/saranagathi-gadhyam/ . upadhESa raththina mAlai – pAsuram 25 – http://divyaprabandham.koyil.org/index.php/2015/12/upadhesa-raththina-malai-25/ – English translation by raghurAm swamy. Full series at http://divyaprabandham.koyil.org/index.php/2015/11/upadhesa-raththina-malai/ . dhivya prabandham – upadhESa raththina mAlai – pAsuram 24 – http://divyaprabandham.koyil.org/index.php/2015/12/upadhesa-raththina-malai-24/ – English translation by raghurAm swamy. Full series at http://divyaprabandham.koyil.org/index.php/2015/11/upadhesa-raththina-malai/ . 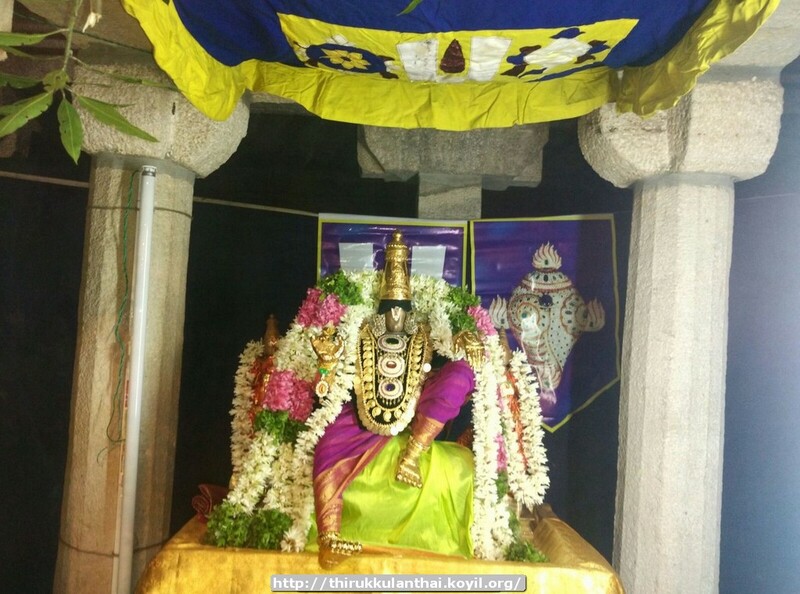 SrIvaishNava granthams – Simple guide to SrIvaishNavam – dhivya prabandham and dhivya dhESams – http://ponnadi.blogspot.com/2015/12/simple-guide-to-srivaishnavam-dhivya-prabandham-dhesam.html . Full series at http://ponnadi.blogspot.in/p/simple-guide-to-srivaishnavam.html . bhagavath gIthA – SlOkams 4 to 6 added in http://githa.koyil.org/index.php/chapter-1/ based on http://githa.koyil.org/index.php/chapter-1-original/ . kaNNinuN chiRuth thAmbu – telugu – e-book link available at http://divyaprabandham.koyil.org/index.php/2015/06/kanninun-chiru-thambu-telugu/ and http://divyaprabandham.koyil.org/index.php/e-books/ . Thanks to parAsara (pradeep) swamy for preparing the e-book. upadhESa raththina mAlai – pAsuram 23 – http://divyaprabandham.koyil.org/index.php/2015/12/upadhesa-raththina-malai-23/ – English translation by raghurAm swamy. Full series at http://divyaprabandham.koyil.org/index.php/2015/11/upadhesa-raththina-malai/ . 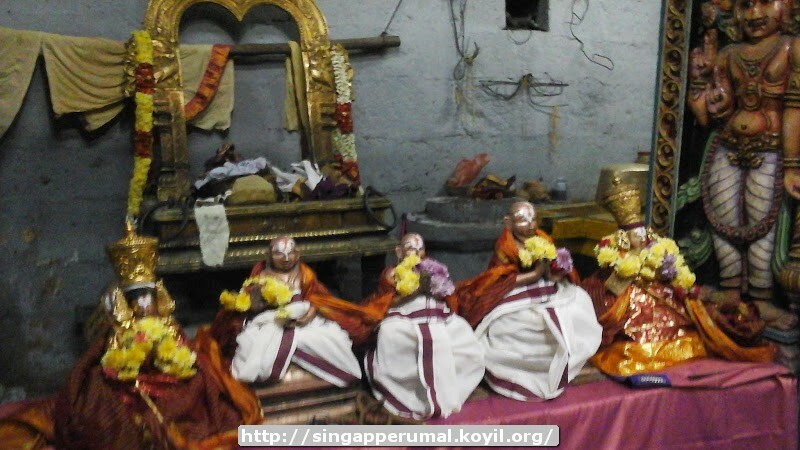 SrIvaishNava granthams – Simple guide to SrIvaishNavam – guru paramaparai – http://ponnadi.blogspot.com/2015/12/simple-guide-to-srivaishnavam-guru-paramparai.html . Full series at http://ponnadi.blogspot.in/p/simple-guide-to-srivaishnavam.html . Commencement of SrI dhEvarAja ashtakam telugu translation by sankeerth swamy at http://divyaprabandham.koyil.org/index.php/2015/12/sri-dhevaraja-ashtakam-telugu/ . upadhESa raththina mAlai – pAsuram 22 – http://divyaprabandham.koyil.org/index.php/2015/12/upadhesa-raththina-malai-22/ – English translation by raghurAm swamy. Full series at http://divyaprabandham.koyil.org/index.php/2015/11/upadhesa-raththina-malai/ . Audio rendering of upadhEsa raththina mAlai – next 21 (30 – 50) pAsurams uploaded – http://divyaprabandham.koyil.org/index.php/2015/12/upadhesa-raththina-malai-audio/ . SrIvaishNava granthams – Simple guide to SrIvaishNavam – AchArya-Sishya relationship – http://ponnadi.blogspot.com/2015/12/simple-guide-to-srivaishnavam-acharya-sishya.html . Full series at http://ponnadi.blogspot.in/p/simple-guide-to-srivaishnavam.html . dhivya prabandham – upadhESa raththina mAlai – pAsuram 21 – http://divyaprabandham.koyil.org/index.php/2015/12/upadhesa-raththina-malai-21/ – English translation by raghurAm swamy. Full series at http://divyaprabandham.koyil.org/index.php/2015/11/upadhesa-raththina-malai/ . 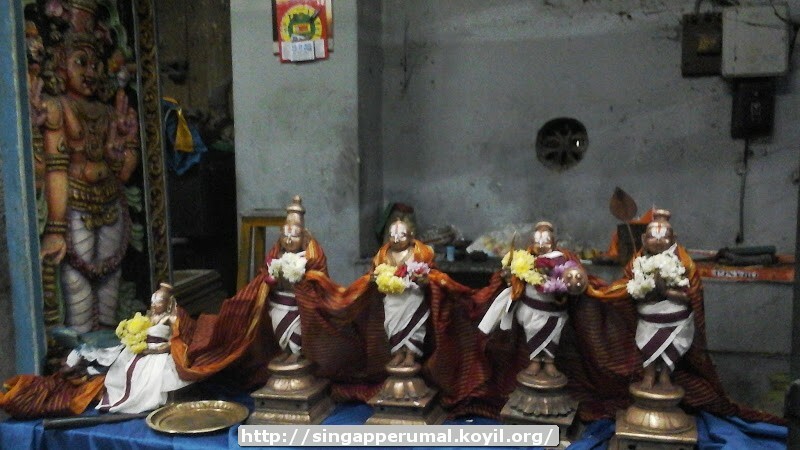 SrIvaishNava granthams – Simple guide to SrIvaishNavam – pancha samskAram – http://ponnadi.blogspot.com/2015/12/simple-guide-to-srivaishnavam-pancha-samskaram.html . Full series at http://ponnadi.blogspot.in/p/simple-guide-to-srivaishnavam.html . SaraNAgathi gadhyam – 5th chUrNai part 5 – http://divyaprabandham.koyil.org/index.php/2015/12/saranagathi-gadhyam-5-part-5/ – English translation by T N krishNan swamy. Full series at http://divyaprabandham.koyil.org/index.php/2015/11/saranagathi-gadhyam/ . upadhESa raththina mAlai – pAsuram 20 – http://divyaprabandham.koyil.org/index.php/2015/12/upadhesa-raththina-malai-20/ – English translation by raghurAm swamy. Full series at http://divyaprabandham.koyil.org/index.php/2015/11/upadhesa-raththina-malai/ . 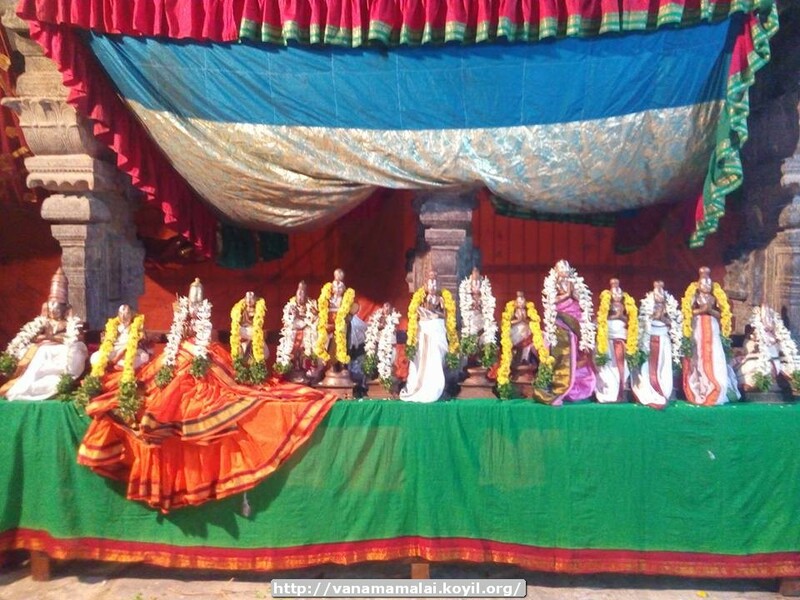 SrIvaishNava granthams – Simple guide to SrIvaishNavam – Introduction – http://ponnadi.blogspot.com/2015/12/simple-guide-to-srivaishnavam-introduction.html . Full series at http://ponnadi.blogspot.in/p/simple-guide-to-srivaishnavam.html . 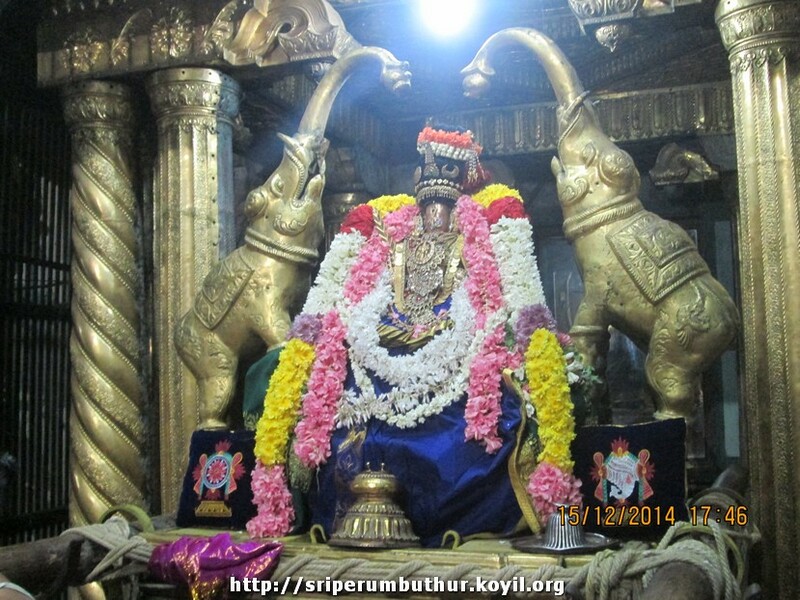 guruparamparai hindi – SrIperumbUthUr thiruvEnkata embAr jIyar – life and glories in hindi – https://guruparamparaihindi.wordpress.com/2015/12/21/sriperumbuthur-first-embar-jiyar/ – new article by bhagavathi ammangar based https://guruparamparai.wordpress.com/2013/08/28/sriperumbuthur-first-embar-jiyar/ . Please visit https://guruparamparaihindi.wordpress.com/2013/08/29/introduction-2/ to see the full list. With this all existing English articles in https://guruparamparai.wordpress.com/ are translated into hindi. SaraNAgathi gadhyam – 5th chUrNai part 4 – http://divyaprabandham.koyil.org/index.php/2015/12/saranagathi-gadhyam-5-part-4/ – English translation by T N krishNan swamy. Full series at http://divyaprabandham.koyil.org/index.php/2015/11/saranagathi-gadhyam/ . upadhESa raththina mAlai – pAsuram 19 – http://divyaprabandham.koyil.org/index.php/2015/12/upadhesa-raththina-malai-19/ – English translation by raghurAm swamy. Full series at http://divyaprabandham.koyil.org/index.php/2015/11/upadhesa-raththina-malai/ . SrIvaishNava granthams – Commencement of new series – http://ponnadi.blogspot.in/p/simple-guide-to-srivaishnavam.html . First Article (From the archives – Comprehensive list of SrIvaishNava paribhAshai (terms)) – https://srivaishnavagranthams.wordpress.com/readers-guide/ . guruparamparai hindi – appAchchiyAraNNA – life and glories in hindi – https://guruparamparaihindi.wordpress.com/2015/12/20/appachiyaranna/ – new article by bhagavathi ammangar based on https://guruparamparai.wordpress.com/2013/09/07/appachiyaranna/ . Please visit https://guruparamparaihindi.wordpress.com/2013/08/29/introduction-2/ to see the full list. pramEya sAram – First four pAsurams – English translation by santhAnam swamy – published by vEnkatEsh swamy – http://divyaprabandham.koyil.org/index.php/2015/12/prameya-saram/ . With this pramEya sAram thamizh is completed. upadhESa raththina mAlai – pAsuram 18 – http://divyaprabandham.koyil.org/index.php/2015/12/upadhesa-raththina-malai-18/ – English translation by raghurAm swamy. Full series at http://divyaprabandham.koyil.org/index.php/2015/11/upadhesa-raththina-malai/ . SrIvaishNava granthams – From the archives – Comprehensive list of SrIvaishNava literature – https://srivaishnavagranthams.wordpress.com/purvacharya-literature/ . dhivya prabandham – upadhESa raththina mAlai – pAsuram 17 – http://divyaprabandham.koyil.org/index.php/2015/12/upadhesa-raththina-malai-17/ – English translation by raghurAm swamy. Full series at http://divyaprabandham.koyil.org/index.php/2015/11/upadhesa-raththina-malai/ . This entry was posted in Uncategorized on December 19, 2015 by Sarathy Thothathri. SrIvaishNava granthams – Simple explanation of thathva thrayam – the three Entities in English – http://ponnadi.blogspot.com/2015/12/thathva-thrayam-in-short.html . upadhEsa raththina mAlai – pAsuram 16 – http://divyaprabandham.koyil.org/index.php/2015/12/upadhesa-raththina-malai-16/ – English translation by raghurAm swamy. Full series at http://divyaprabandham.koyil.org/index.php/2015/11/upadhesa-raththina-malai/ . SaraNAgathi gadhyam – 5th chUrNai part 3 – http://divyaprabandham.koyil.org/index.php/2015/12/saranagathi-gadhyam-5-part-3/ – English translation by T N krishNan swamy. Full series at http://divyaprabandham.koyil.org/index.php/2015/11/saranagathi-gadhyam/ . pramEya sAram – Remaining thamizh pAsurams published by vEnkatEsh swamy – http://divyaprabandham.koyil.org/index.php/2015/12/prameya-saram-tamil/ . With this pramEya sAram thamizh is completed. upadhEsa raththina mAlai – pAsuram 15 – http://divyaprabandham.koyil.org/index.php/2015/12/upadhesa-raththina-malai-15/ – English translation by raghurAm swamy. Full series at http://divyaprabandham.koyil.org/index.php/2015/11/upadhesa-raththina-malai/ . Audio rendering of upadhEsa raththina mAlai – first 29 pAsurams uploaded – http://divyaprabandham.koyil.org/index.php/2015/12/upadhesa-raththina-malai-audio/ . 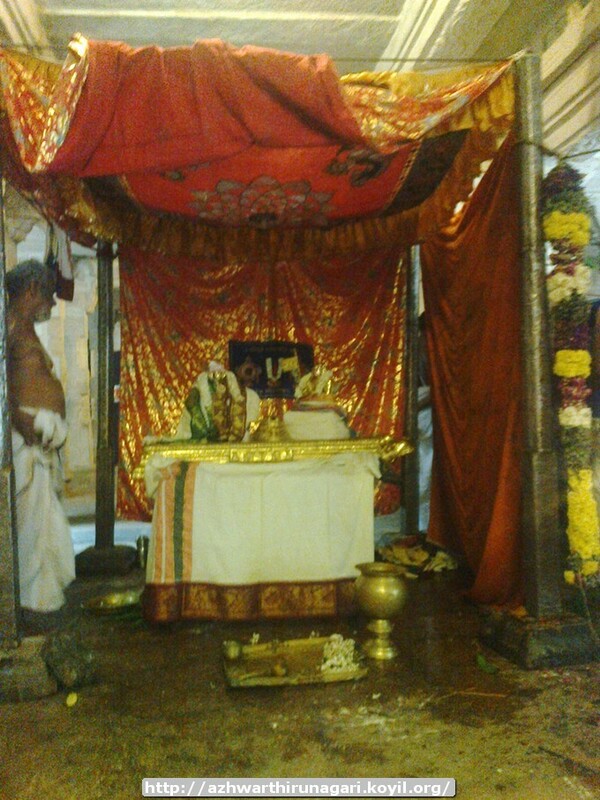 guru paramaparai – kurugaik kAvalappan – life and glories in thamizh – https://guruparamparaitamil.wordpress.com/2015/12/16/kurugai-kavalappan/ – new article by Sruthi ammangar based on https://guruparamparai.wordpress.com/2013/02/03/kurugai-kavalappan/ . Please visit https://guruparamparaitamil.wordpress.com/2015/03/14/introduction-2/ to see the full list. upadhEsa raththina mAlai – pAsuram 14 – http://divyaprabandham.koyil.org/index.php/2015/12/upadhesa-raththina-malai-14/ – English translation by raghurAm swamy. Full series at http://divyaprabandham.koyil.org/index.php/2015/11/upadhesa-raththina-malai/ . SaraNAgathi gadhyam – 5th chUrNai part 2 – http://divyaprabandham.koyil.org/index.php/2015/12/saranagathi-gadhyam-5-part-2/ – English translation by T N krishNan swamy. Full series at http://divyaprabandham.koyil.org/index.php/2015/11/saranagathi-gadhyam/ . From the archives – Please engage in knowing the in-depth meanings of thiruppaLLiyezhuchchi (http://divyaprabandham.koyil.org/index.php/2014/12/thiruppalliyezhuchchi/) and thiruppAvai (http://divyaprabandham.koyil.org/index.php/2014/11/thiruppavai-english/) during this dhanur mAsam. thiruvezhukURRirukkai – telugu – e-book link available at http://divyaprabandham.koyil.org/index.php/2015/10/thiruvezhukurrirukkai-telugu/ and http://divyaprabandham.koyil.org/index.php/e-books/ . Thanks to parAsara (pradeep) swamy for preparing the e-book. upadhEsa raththina mAlai – pAsuram 13 – http://divyaprabandham.koyil.org/index.php/2015/12/upadhesa-raththina-malai-13/ – English translation by raghurAm swamy. Full series at http://divyaprabandham.koyil.org/index.php/2015/11/upadhesa-raththina-malai/ . upadhEsa raththina mAlai – pAsuram 12 – http://divyaprabandham.koyil.org/index.php/2015/12/upadhesa-raththina-malai-12/ – English translation by raghurAm swamy. Full series at http://divyaprabandham.koyil.org/index.php/2015/11/upadhesa-raththina-malai/ . SaraNAgathi gadhyam – 5th chUrNai part 1 – http://divyaprabandham.koyil.org/index.php/2015/12/saranagathi-gadhyam-5-part-1/ – English translation by T N krishNan swamy. Full series at http://divyaprabandham.koyil.org/index.php/2015/11/saranagathi-gadhyam/ . dhivya prabandham – upadhEsa raththina mAlai – pAsuram 11 – http://divyaprabandham.koyil.org/index.php/2015/12/upadhesa-raththina-malai-11/ – English translation by raghurAm swamy. Full series at http://divyaprabandham.koyil.org/index.php/2015/11/upadhesa-raththina-malai/ . Commencement of SrIvaishNava lakshaNam series in hindi – https://srivaishnavagranthamshindi.wordpress.com/srivaishnava-lakshanam/ based on http://ponnadi.blogspot.in/p/srivaishnava-lakshanam.html – Hindi translation by kEshava swamy and published by jAnaki ammangar. First two articles in the series are published now at https://srivaishnavagranthamshindi.wordpress.com/2015/12/12/srivaishnava-lakshanam-1/ based on http://ponnadi.blogspot.in/2012/07/srivaishnava-lakshanam-1.html and https://srivaishnavagranthamshindi.wordpress.com/2015/12/12/srivaishnava-lakshanam-2/ based on http://ponnadi.blogspot.in/2012/07/srivaishnava-lakshanam-2.html . dhivya prabandham – upadhEsa raththina mAlai – pAsuram 10 – http://divyaprabandham.koyil.org/index.php/2015/12/upadhesa-raththina-malai-10/ – English translation by raghurAm swamy. Full series at http://divyaprabandham.koyil.org/index.php/2015/11/upadhesa-raththina-malai/ . This entry was posted in Uncategorized on December 12, 2015 by Sarathy Thothathri.